With the USB C port becoming more and more common, on everything from Macbooks and PCs to even Chromebooks, it is important to keep your old hardware connected. Be it USB sticks or different peripherals such as your mice and keyboard. USB C is great, but not a lot of hardware exists for it yet either. 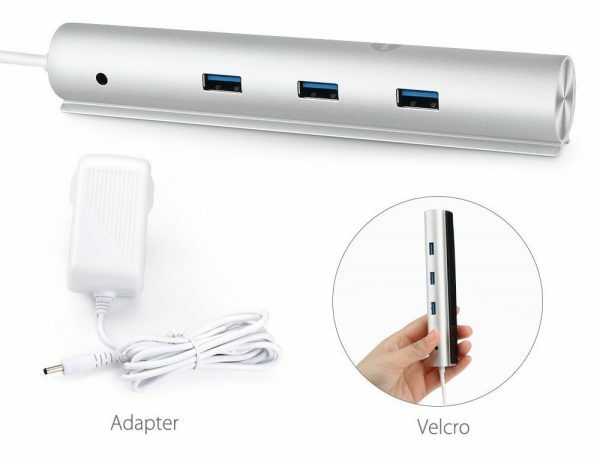 Designed for the latest computers New MacBook, ChromeBook Pixel, etc with USB C ports. 7-port aluminum hub with 1 BC 1.2 Charging Port up to 2.1 amps delievering speed, while the other 6 ports charge at speeds of up to 0.9 amps each. Support USB 3.0 super speed, rates up to 5 Gbps transmission, downward compatible with USB 2.0 / 1.1 specifications. Multiple USB 3.0 interface supports plug and play, free drive, hot swapping, easy to use and carry. Package Contents: USB 3.0 HUB, 5V / 3A Power Adapter, USB 3.0 Data Cable, Velcro, User Manual, Warranty card. The device itself is silver and looks pretty sleek. Definitely goes well with your other hardware. 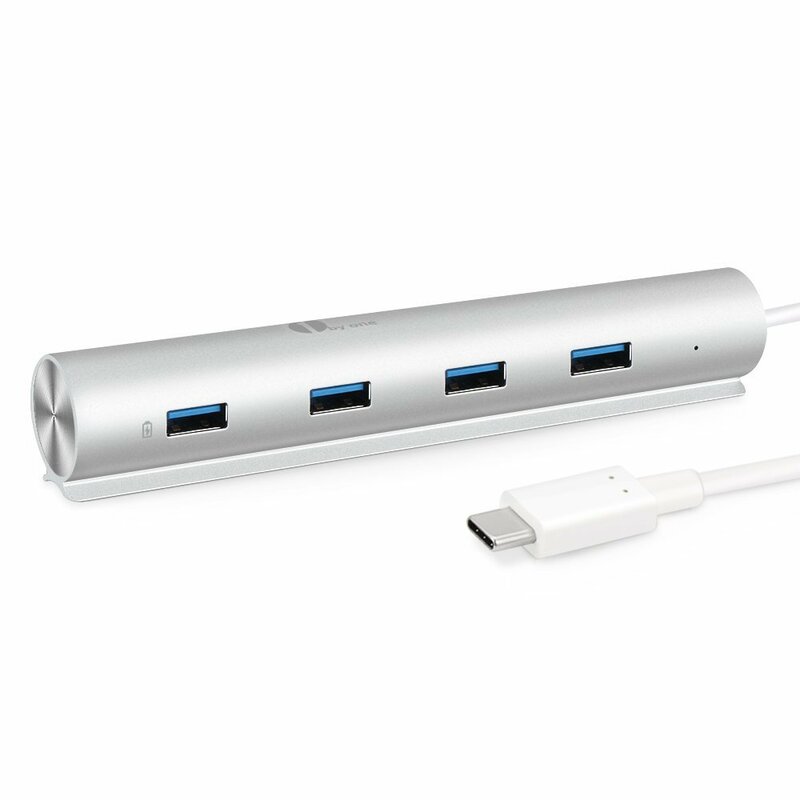 There is a USB C port off a wire on one end, and one end has 4 USB 3 ports while the other has three. That also has a slot to attach the AC adaptor. There is a groove at the bottom with a bit of Velcro for added stability as well as ability to stick it various elements. There is one port that will charge your devices up to 2.1 A, rest will only get the standard 0.5A you get with a USB 2. You do need to plug in the adaptor for that though. Data rates are solid though. They work for all seven ports. There was a warning about not using wireless keyboards or mice around USB 3 ports, but it worked for me. All in all, a pretty decent device. More information on the product can be found on the 1byOne website and can be bought via Amazon.